This work provides a contemporary overview to diagnosis developed via comprehensive facial analysis. It is a very thorough, detailed book with excellent photography and images to help visualize the topic. 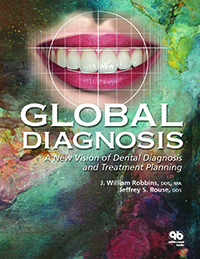 It offers a wide range of case types that most dentists will relate to and shows how diagnosis and proper planning provides a road map to excellent clinical results. 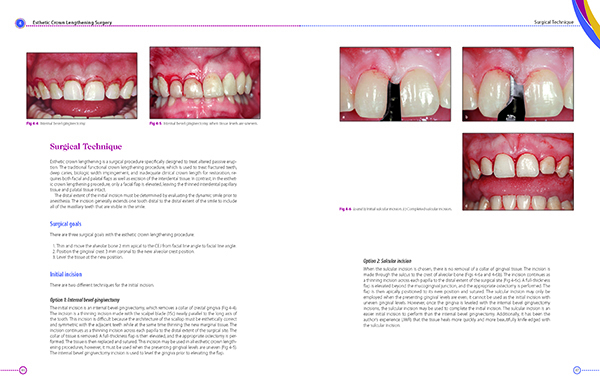 The images, photography, and the diverse case studies ranging from simple to complex are amazing, and the authors' handling of a multitude of dental procedures to produce great results is excellent. Most, if not all, of the images were captioned with a full explanation of the procedure. Several dental specialties were incorporated showing how working with specialists in comprehensive treatment planning delivers a very predictable outcome. I also liked that dermal fillers and Botox were addressed and explained as ways to enhance the facial form around the smile design. The cases presented in the book are long and complex procedures, and the authors did a good job waiting for these cases to get to completion before rushing to publish. The only thing that I felt was not addressed very much was the doctor/lab relationship. Choosing the right lab to build these types of cases is critical. To spend this much time an effort in planning and execution, the ceramist and lab must be in tune with the process as well.